UWS is a leading manufacturer and designer of USA-made storage carriers and truck accessories. Our products are built to the highest quality standards, offering tough and reliable storage solutions for professional tradesmen and truck enthusiasts alike. We offer a full range of truck bed tool boxes, liquid transfer cases, dog boxes, trailer boxes and other truck storage solutions. Contact Us to Find Your Box! UWS is a leading manufacturer and designer of USA-made storage carriers and truck accessories. These products are built to the highest quality standards, offering tough and reliable storage solutions for professional tradesmen and truck enthusiasts alike. They offer a full range of truck bed tool boxes, liquid transfer cases, dog boxes, trailer boxes and other truck storage solutions. 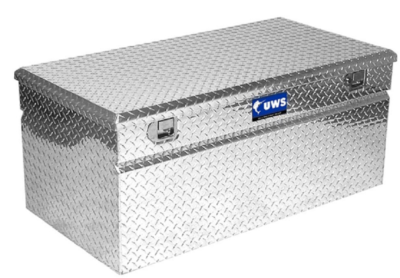 A UWS aluminum storage box is perfect for keeping tools, equipment and other cargo secure and on-hand. They can be used as truck tool boxes or storage chests. Each utility chest features our patented rigid-core lid and made-in-USA, extra-thick aluminum construction. An ATV tool box or UTV box from UWS makes it easy to bring your tools and equipment along for work or play. The UTV boxes install with vehicle-specific hardware, while ATV aluminum tool boxes are universal. Both feature patented rigid-core lid and extra-thick aluminum build. 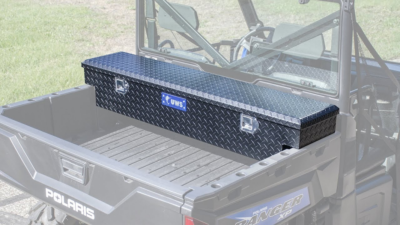 A side mount tool box from UWS allows you to maximize storage space on your truck. They offer truck side tool boxes, topside tool boxes and underbody tool boxes. 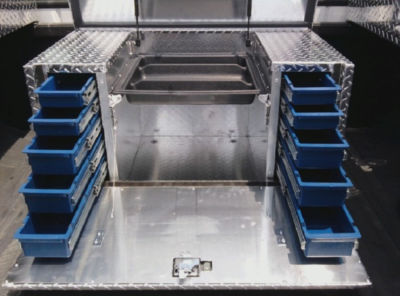 All of these truck tool boxes feature extra-thick aluminum construction and are made right here in the USA. A UWS drawer truck tool box gives you the perfect combo of security and organization for small items and tools. Drawer boxes as well as a truck tool box with drawers and an integrated storage chest are also available. They also carry a wheel well tool box option with integrated drawers. UWS truck accessories add functionality to your truck. 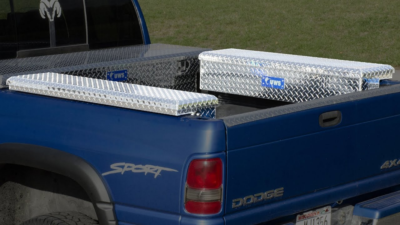 We offer an aluminum cargo carrier with as-needed, hitch-mounted convenience, as well as an aluminum ladder rack. We also offer a number of replacement parts to accommodate all UWS truck tool boxes.